Next to Quartz, Fluorite is one of the multi-taskers of the crystal healing world. 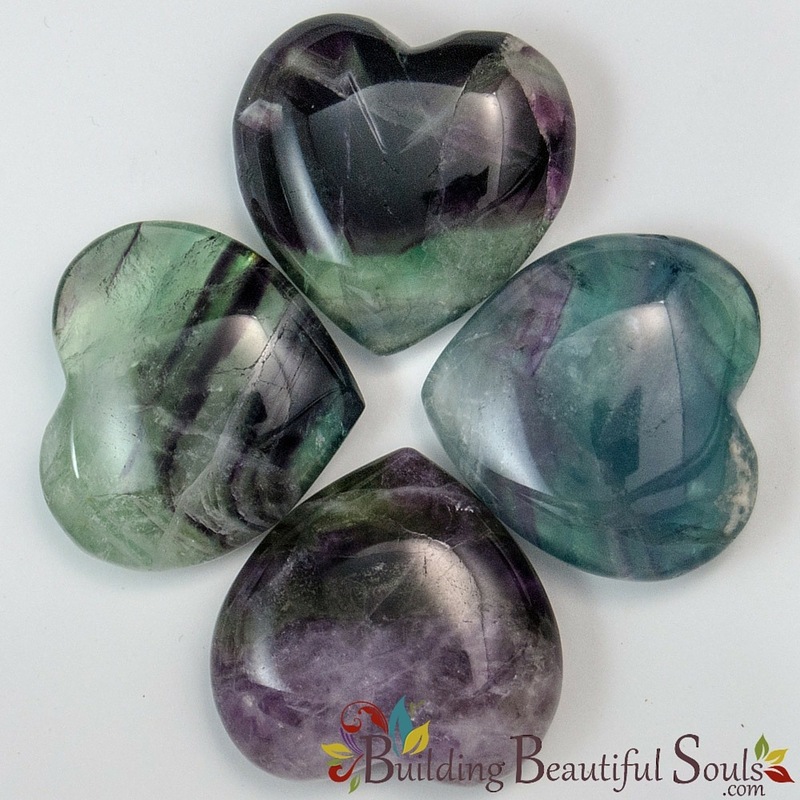 Working on psychic, mental and physical levels consecutively, fluorite represents personal wholeness, staying true to self and an overall sense of harmony that resonates in your aura. 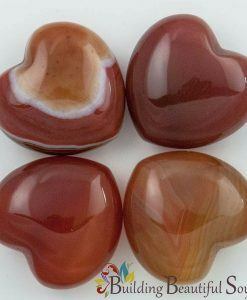 In the shape of a heart it improves your intuitive self to increase harmonic energies in a relationship; be it with a friend or loved one. 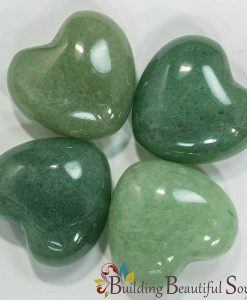 Green Fluorite in particular is an excellent heart stone for those recovering from an emotional ordeal that’s left disturbing scars. 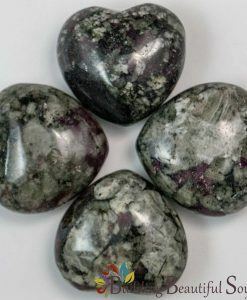 Metaphysical stores often recommend Fluorite as part of the healer’s kit for crystal therapy since it balances the chakra system. 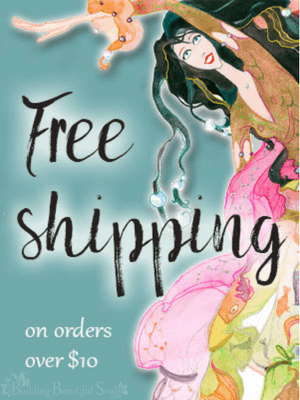 It also has energies that support organizational skills and mental processing abilities (internalizing those things that otherwise clutter the mind). 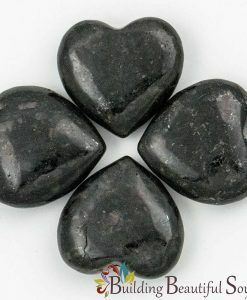 For speakers and leaders, Blue Fluorite hearts facilitate honest communication where words and feelings remain in balance. 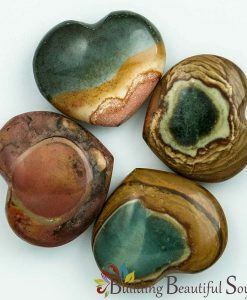 For psychics Purple Fluorite hearts give you greater wisdom and vision.